Crafter BA-400EQ/N EA Electro Acoustic Bass Guitar in Satin natural finish. 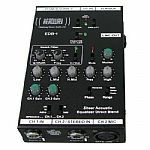 The EDB1 (Sheer Acoustic Equaliser Direct Blend) is a mega multi-purpose and compact external pre-amplifier box of pro-audio quality. Hohner Blues Blaster Harmonica Microphone. Hohner Headless Bass Guitar in Black B2ADB/BK 4 String. Hohner Headless Bass Guitar in Walnut Satin B2A V/WS 5 String.